The State Government has appointed a Disability Industry Development and Market Coordinator General to help South Australian businesses in the disability sector, and associated industries, to make the most of the opportunities ahead as we transition to the National Disability Insurance Scheme (NDIS). 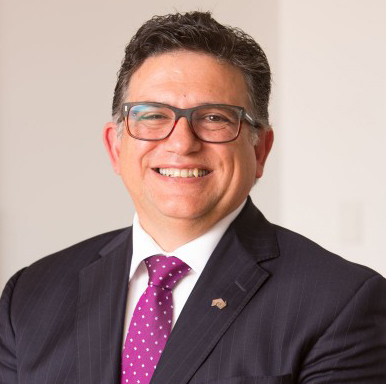 Rob DiMonte, a former Managing Partner of the South Australian office of Deloitte and an experienced management consultant, began in the role within the Department of State Development on Monday 7 August 2017. He will be engaging with the disability sector to help businesses realise the economic benefits of the NDIS including job creation, with a focus on new business models, capabilities and resources. Rob is available to assist service providers with applications for the State Government’s $200 million Future Jobs Fund. As announced in the State Budget, this fund will provide businesses and non-government organisations with grants from $100,000 to $5 million, and low-interest loans from $100,000 to $10 million across five key sectors, including the health and disability sector. Applications for the fund close on Friday 29 September 2017. For more information on the Future Jobs Fund, and to apply, visit www.treasury.sa.gov.au.